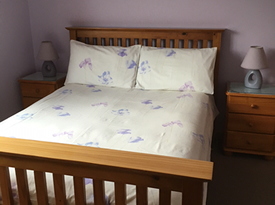 We have 3 rooms each with double bed and en suite shower/wc. A full cooked breakfast included. Our prices depend upon season with bed and full breakfast starting from £60 per room per night. 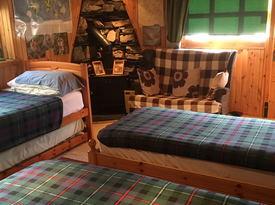 Beinn Edra also has a self contained, family room with 3 single beds. The room has a bathroom, mini kitchen, and SKY TV. Self service continental breakfast is included. Price variable dependant on numbers. Our house is on the main road A87 in upper Inverinate.